NASHVILLE, TN — The first class of Emerge Tennessee — it trains women to be Democratic candidates for elected office — graduated Saturday at Fisk University. Clarksville Mayor Kim McMillan spoke at the graduation in Jubilee Hall. McMillan was the first woman elected majority leader of Tennessee’s House. Emerge Tennessee is affiliated with Emerge America, a group Hillary Clinton supports through Onward Together. McMillan spoke Friday with the Tribune; attended Emerge Tennessee’s kickoff last fall; and first ran for office in 1994. “I shouldn’t just complain about it … So I decided to run … and didn’t know what I was doing. She’s won 14 elections in 25 years. 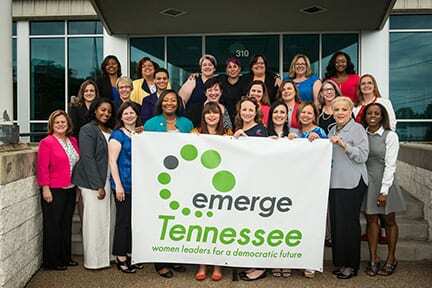 Starting in March, 24 women attended Emerge Tennessee classes in Tennessee’s three grand divisions. They want to be city council and school board members, county commissioners, state legislators and congressmen. The next class is full. “We don’t endorse our women,” Emerge Tennessee Executive Director Kristal Knight said. “We just train them, but we are excited when women complete our program and decide to launch a campaign. “It’s very inclusive,” Knight said. Participants include a teacher, postal service employee, stay-at-home mom, a woman with a doctorate, another deals with issues and advocacy. 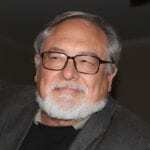 The political action committee teaches campaign budgeting, public speaking, communications, fundraising, endorsements and media relations. “We’ve had great success nationally,” Knight said. Last year, 12 of 13 Emerge Kentucky graduates were elected, including the first black woman state representative in decades. Since 2002, Emerge America trained 2,000 Democratic women. More than half ran for office or were appointed to boards or commissions. Of those who ran, 70 percent won. Thirty nine percent of Emerge alumnae are women of color. Emerge Tennessee intern Jaime Minor met Knight at a reception for Tim Kane and says two Emerge Tennessee grads are running for Congress. After November 2016, Minor “wanted to do something in politics and Civil Rights to help people, and decided the way to do it for the most people was in Democratic politics.” She’s worked for an Alabama senator and a prosecutor. The MTSU graduate student lives in East Nashville. Born in Memphis, Knight worked on Hillary Clinton’s campaign, is a former executive for Washington, D.C. mayors, a Jumpstart Core Member for AmeriCorps at Howard University, and a 2013 graduate of Yale University’s Women’s Campaign School. Emerge Tennessee hired her Feb. 21. Nashville-based political consultant Carol Brown Andrews is a founding member of Emerge Tennessee’s board. Emerge America began in California. Tennessee is its 17th state. Emerge expects 25-26 affiliates by 2018. “This is the way we will build the bench” to return political conversations to equal pay, education, health care, affordable housing and transportation, Andrews said.